Given my busy schedule of late, some stories have been sitting in my stack for some time and I haven’t been able to write about them. But one’s like this are too cool to pass up, so here’s a belated acknowledgement. 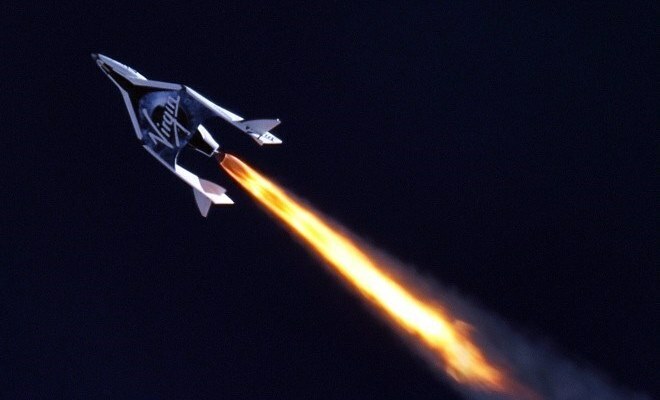 It seems that Virgin Galactic, having now demonstrated its ability to conduct aerospace tourism, has decided to enter into phase two of its plans for the future: aerospace travel! In the scenario they are proposing, their planes would fly customers from Los Angeles to Tokyo, and the transit would take one hour. 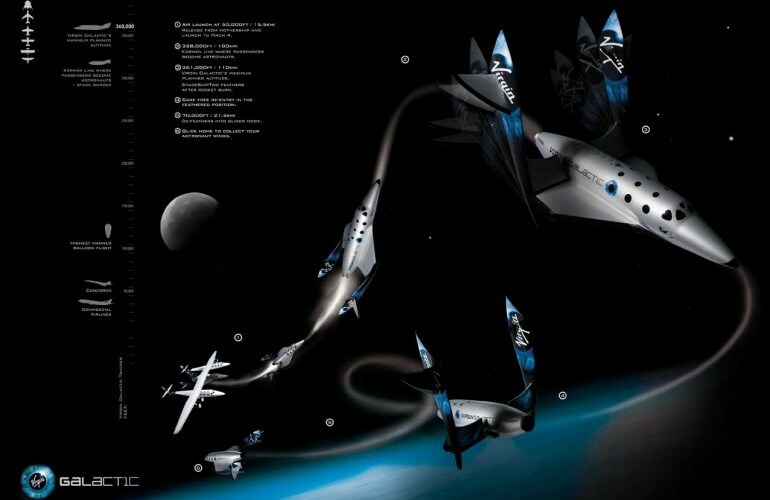 The takeoff system would be similar to the midair launch the company uses now with the SpaceShipTwo. Basically, a large plane flies the spacecraft off the ground, drops it in midair, a hybrid rocket engine ignites, and the spacecraft ascends into lower orbit. You can imagine a SpaceShipThree or a SpaceShipFour going outside the atmosphere, then coming back down outside an urban area and landing. We don’t have to accept the status quo. We can imagine a vehicle using liquid oxygen or liquid hydrogen to get us across the Pacific in an hour. You could do that. For those following Branson’s exploits, this announcement should come as no surprise. For years, he has been attempting to create a supersonic airline of his own. But when a paradigm-shifting idea like “point-to-point suborbital space transportation” becomes possible, he began to sets his sights a little higher (so to speak). Naturally, there are a few things that need to be worked out and tested before that’s possible, but it’s entirely within the realm of possibility. In fact, the European Space Agency has been researching the idea and claimed that SpaceShipOne and SpaceShipTwo are the most promising space launch mechanisms they’ve seen to date. Naturally, there is the nagging question of cost. If aerospace travel does become feasible, who exactly will be able to afford it? 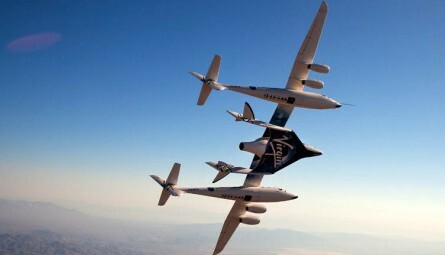 So far, Virgin Galactic’s suborbital spaceflight have attracted hundreds of customers, but at a cost of $250,000 per head. It seems unlikely that these same people would pay a quarter of a million dollars just to travel halfway around the world. And some experts maintain that the industry will fail strictly because of the costs involved. Credible market studies have not been done, or at least published. The optimum technical design has not been established. The ground infrastructure is not in place… Price levels are uncertain. It is not even clear whether such flights are best characterized as tourism or as transportation; whether the passengers would be primarily tourists or business persons on urgent trips. Nevertheless, these doubts are doing nothing to stem the flow of investment and research being made by aerospace organizations and companies. For years, KLM Royal Dutch Airlines – the national air carrier of the Netherlands – has been developing a rocket-powered sub-orbital craft of its own. 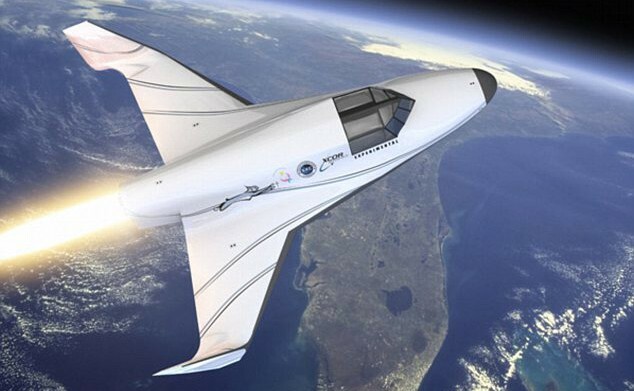 California-based XCOR Aerospace also has the Lynx – a hypersonic plane that could fly between New York and Tokyo in just 90 minutes. Reaction Engines Limited is also developing the Skylon hypersonic engine for commercial spacecraft, much in the same way that Boeing and NASA are developing the X-37B space plane. While these efforts are aimed at creating reusable spacecraft that could deploy satellites and deliver crew and supplies into orbit, they are also laying the groundwork for commercial transportation that takes people into orbit. [the] potential for the rapid global transport of passengers and the fast distribution of goods and services make point-to-point transportation an attractive space technology concept worth exploiting. 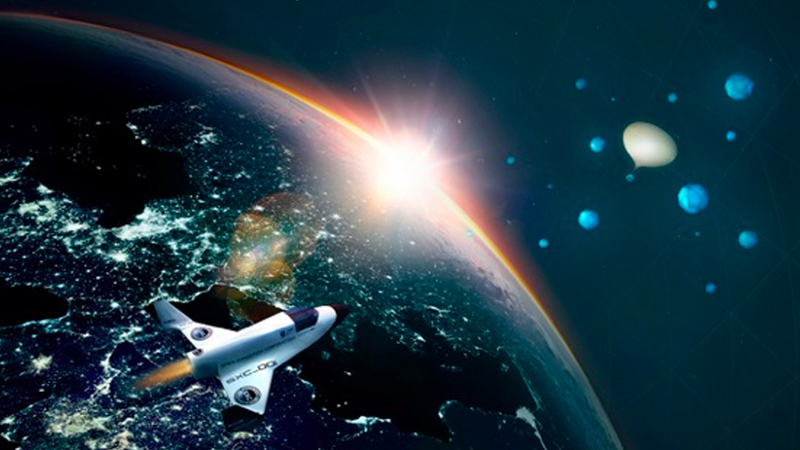 So while a price breakdown may be lacking, and the expected costs limiting, the technology is still in its infancy and it seems likely that the future of transportation lies in space. Beyond rapid transit and space tourism, it may very well be how airlines ferry people to and from their destinations in the not-too-distant future. Boy, could I use this. The price tag! Holy cow!